PRE-OWNED, PRE-TITLED VEHICLES INCLUDE $489 PROCESSING FEE PLUS TTL. McNairy County 911 telecommunicator Desserae Plunk (left) fields a call to the office. Things for the office will soon get better with the McNairy County Sheriff’s Office changing from an analog to a digital communications system at the end of the month. The switch will offer a much greater calling range and better voice quality. The over $400,000 project will not use any taxpayer money. The digital project is being funded through the collection of cellphone fees, according to McNairy County E-911 Director Dana Swims. Only a few counties in the state have made the switch to simulcast. tem. “We should be able to hear them anywhere they go with the five repeaters,” said E-911 Director Dana Swims. “It will also allow us to identify them and where they are at all times.” The over $400,000 project is being funded without taxpayer money. “The system is funded through the collection of cellphone fees,” said Swims. Only a few counties in Tennessee have made the switch to the simulcast system, according to Buck. “We are on the cutting edge,” he said. The McNairy County Sheriff’s Office has charged a Corinth, Miss. man for the burglary of an Eastview business. Twenty-five-year-old Nathan B. Mills of Corinth was taken into custody by the Alcorn County Sheriff’s Department on April 9. Mills, who remains jailed in Alcorn County, is being charged with burglary and theft of property over $100,000. The case involves the theft of a 2007 Jeep Grand Cherokee and 2005 Chevy Suburban from Top Notch Motor Sports off of Highway 45 in Eastview. Multiple tools were also taken and a 1969 Chevrolet Camaro was damaged in the April 7 theft. “The good thing is we have recovered most of the items,” said McNairy County Sheriff Guy Buck. Investigator Kevin Carter is in charge of the investigation. Black Panther and Disney princesses will be a part of the event for the third straight year. “We did an online poll and we went with the ones who got the most votes,” said Moore. The McNairy Central Choir will perform and area churches will act as free vendors for the day. Hospital Wing will bring its helicopter. Businessman Bryan Huff and Selmer Mayor John Smith are promoting the good news about the town. The two get together once a week to talk to the world in The Town Life Podcast. “It’s about life in Selmer,” said Huff. “We have a variety of guests, including leaders in the community and cover all types of topics from small businesses to special events.” Huff described Selmer as a cultural tourism destination. “People want to come here from big cities and other places to experience life in a small, rural community,” he said. “This is a window to our world.” Guests sit at the Barry Bishop microphone – named for the Life Wind Covenant Church minister and the podcast’s first guest. Businessman Bryan Huff (right) and Selmer Mayor John Smith are promoting the good news about Selmer with The Town Life Podcast. Hunter Burns focuses on doing his best, never giving up in battle with autism. Student welders put skills on display at TCAT welding competition. All vehicles are pre-owned. All prices include $599 proc.fee. Payment terms vary defending on vehicle and credit approval. Plus tax,tag and Lic. Photos for illustration purposes only. Tier 1 financing. See dealer for details. Not responsible for printing errors. group Community Development Partners, LLC. (CDP) of Nashville helped with the park design. The City of Adamsville, Town of Selmer, McNairy County Board of Education and McNairy County partnered together in 2017 for a grant to improve the county’s park through a 80/20 match grant. The total cost of the project is $60,000 with each of the four entities paying $3,000 and the rest contributed by the state. The work on a plan for the parks included three meetings with county residents. His teacher saw something different about Hunter Burns in kindergarten. “She noticed he was doing fine academically, but he was socially awkward,” said Hunter’s mother, Vonda. “He didn’t know how to talk to anyone.” Hunter was eventually diagnosed with pervasive developmental disorder not otherwise specified. The diagnosis meant he did not qualify for a lot of services the school would provide. He was eventually diagnosed with autism at the Kiwanis Center in Jackson. At the time, he was the first student in Bethel Springs Elementary School to be diagnosed with the disorder when one of an estimated 20,000 were diagnosed with the disorder. “Autism is such a wide umbrella,” said Vonda Burns. “You can be a little bit autistic or you can be at the more severe end of the spectrum.” The Centers for Disease Control estimated that one in 59 kids meet symptoms of autism and are somewhere on the spectrum in a 2014 study. That number has continued to climb. Hunter Burns focuses on what he does best and never gives up. April is National Autism Month. really hard,” said Hunter. “You focus on what you’re good at and never give up.” Vonda said bringing awareness to autism is about hope. Sunday, April 28, 2019 Registration: 1:00 p.m. / Pageant: 2:00 p.m.
CORRECTIONS The Independent Appeal is committed to accuracy. If you believe a factual error has occurred, please let us know by calling (731) 645-5346. Corrections print on Page 2A. Subscription rates in McNairy County are $20 per year; in Tennessee, $28; elsewhere, $32. Subscriptions and delivery: (731) 645-5355. The Independent Appeal is published every Wednesday by McNairy County Publishing, LLC, 111 North Second Street, Selmer, TN 38375. Postmaster: Send form 3579 to Post Office Box 220, USPS 336-300. Cameron Thomas (from left), Austin Martin and Tim Ward were recognized at the West Tennessee Area Council of Boy Scouts of America. The trio’s Eagle Scout Court of Honor Ceremony was held April 6 at First United Methodist in Adamsville. An ordinance is a step closer to changing a zoning area in the Town of Selmer. The Selmer Mayor and Board of Aldermen voted unanimously to approve the measure for nonprofit transient lodging in a general business (B-1) district. The approval was a second reading of an ordinance that was passed by the Selmer Planning Commission at their Feb. 19 meeting. days a week. A list of rules for staying in the house include no threats of violence, obscene gestures or abusive behavior; no drugs (including prescription narcotics) or alcohol; no sexual harassment or activity; no panhandling; among other rules. Residents also must dress appropriately and clean up after themselves. Longer term residents will be assigned chores. Transient houses have to be located within the city limits and be within walking distance of the Post Office and courthouse. TheHempConnection Grand Opening & Ribbon Cutting Saturday April 20 - 8 AM - 5 PM • Reception starting at 11 AM • Giveaways ALL DAY with the GRAND PRIZE of a flat screen TV at 4:20 PM. Any Purchases Made Up To Grand Opening Are Eligible For Drawings! Hours: Monday - Friday 10 AM - 6 PM *All oils containing cannabinol have less than 0.6% tetrahydrocannabinol. • Alderman Bradley Gray reported Liberty National approved a free $3,000 accidental death policy for each of the volunteer fireman. “I am meeting with the firemen to set up the plan,” said Gray. Gray said there is a lot of support in the surrounding counties for Guys volunteer fire department. “I am getting myself more acquainted and am learning more,” said Gray. ress through the ranks until reaching Eagle their senior year in high school. As an awarded Eagle Scout, each boy also receives the Marine Corps League’s Good Citizenship Award. Thomas – the son of Kevin and Tammy Thomas of Adamsville – received Eagle Scout Award on Dec 11 of 2018. His project was resurfacing the church playground at First United Methodist Church in Adamsville Martin – the son of Brent and Christy Martin of Stantonville and Frank and Yalda of Henderson – received his Eagle Scout Award on May 8 of 2018. His project was painting interior of church, including murals, at First United Methodist Church in Adamsville. Ward – the son of Mike and Mi Ran Ward of Enville – received his Eagle Scout Award on Jan 17. His project was building and setting up picnic tables at Nathan Bedford Forest State Park. 1x6 Beaded White Pine..........$0.70 board ft.
CLOSEOUT ON ALL SHINGLES 3 Tab Shingles reg. $46.95 sq. Belinda Shelton, McNairy Central Credit Recovery. • Approved the leave request of Sarah Allison, McNairy Central and Jena Bienash, Selmer Middle School cafeteria. • Approved the resignation of Lora Leigh Brown, Adamsville Jr./ Sr. High School 7th Reading. Winners in the Gas Metal Arc Welding competition were (from left) 3rd place – Timothy Seaton, Adamsville Jr./Sr. High School; 2nd place – Camden Haskins, Chester County; 1st place – Jake Morris, Collinwood and TCAT President Stephen Milligan. should not surprise us that we struggle with sorrow. It is perfectly understandable and acceptable to ask for support. Mark Twain wisely said, “Courage is resistance to fear, mastery of fear – not absence of fear.” None of us are islands to ourselves, thus we arrived where we are today with the help and support from others just as they did and we will arrive at tomorrow, if tomorrow comes with the support of others. A threefold cord is not easily broken. As I have suggested previously, while it may not always be easier it is always better to take life one breathe, one step and one day at a time. After we come to grips with the need not to walk our journey with grief alone and that it is healthy and permissible to ask others for support, it is important to take care of only today’s needs. Face reality head on when possible. Where necessary delegate tasks to others. One of the most common questions ever asked – Why has all this befallen us? The answer is, why not us and a threefold cord. Winners in the Shielded Metal Arc competition were (from left) 3rd place – Houston McCullar, McNairy Central; 2nd place – Nathan Ganus, Adamsville Jr./Sr. High School; 1st place – Dakota Keener, Collinwood and TCAT President Stephen Milligan. Adamsville Jr./Sr. High School finished 3rd overall in the Tennessee College of Applied Technology Crump’s welding competition. TCAT President Stephen Milligan (from left) congratulates team members Riley Johnson, Joseph Swain, Nathan Ganus, Timothy Seaton, Aiden Crider and Instructor Wes Johnson. the competition. Students placing in the top three in each process were awarded trophies and prize packs. First place prize packs included welding supplies and a TCAT Crump scholarship. Students interested in participating in dual enrollment welding next school year should contact their high school counselor to learn more about the program and how it might benefit them as they work toward their career goals. Cub Scouts and leaders from Pack 32 completed a community service project as appreciation to First United Methodist Church of Selmer. First United Methodist Church of Selmer is the charter organization for Pack 32. The service project included mulching flower beds, planting flowers, and cleaning up the outdoor church service area that will be used Easter Sunday. Cub Scouts keep their promise “to help other people” by completing community service projects. Scouts strive to do their best each and every day, but completing a group service project is a bigger way to help people. Scouts are giving back to the local community and learning important teamwork skills and the importance of doing good for their communities. Selmer Cub Scout Pack 32 plans to continue to give back to their local community with more service projects. at 5.8 percent, which is a 1.5 percentage point drop from its January rate. ville Road last Sunday. The car was reportedly abandoned and is being investigated by authorities. • Reported a problem over the past couple of years with large amounts of trash being dumped along city streets. “We have cleaned up the streets each time, but have reported the issue to the McNairy County Sheriff’s Office,” said Rinehart. • A culvert was repaired on Guys Chewalla Road. The city purchased 50 feet of culvert for $400 from Gerald McLemore for the project. • The board asked Alderman William Butler to review the city roads and make a recommendation next month on condition of streets in need of repair. The city is considering a $40,000 expenditure to repair city streets. in February. The figure bested the previous record low of 3.3 percent, which was the state’s unemployment rate between October and January. and network abilities and additional tech support personnel. Another section of the plan calls for quality and family engagement. It calls for improved communication and transparency about the work of the district with students and parents. The stated goal is to create a sense of shared ownership and accountability for students, but also calls for parents, teachers and leaders to work together toward student success. Another part of the plan calls for strategic budget decisions at the school and district levels, and align budgets with district goals. It also calls for key performance indicators to improve efficiency and effectiveness in the district, including specific indicators for growth. McNairy County Director of Schools Greg Martin said the specifics of the plan were not set in stone. “We will have to look more into it,” he said. violence. Most Maternal Deaths are preventable. A death is considered preventable if there was at least some chance of the death being averted by one or more reasonable changes to patient, community, provider, facility and/or systems factors. “The high percentage of maternal deaths considered preventable underscores the importance of identifying these deaths and seeking prevention opportunities,” said Maternal Mortality Nurse Coordinator Bethany Scalise, RN. The MMR Committee made recommendations for prevention for those deaths considered to be preventable. Recommendations include multi-disciplinary teams and coordination of care; establishment of protocols and standards of care; education; resources; public awareness and understanding of risk factors for patients and providers. The Department of Health is developing a maternity collaborative to assist with implementing these recommendations. The Tennessee Maternal Mortality Review Program was established in 2017 as a multidisciplinary committee to review pregnancy-associated deaths and determine how they can be prevented. A Selmer UPS driver has been inducted into the Circle of Honor. Scott Henley was among 41 Tennesseans inducted to the honorary organization to recognize elite drivers. UPS honored drivers who have achieved 25 or more years of accident-free driving. Tennessee boasts 321 Circle of Honor drivers with a combined 9,429 years of accident-free driving. William Pyburn of Springfield is the state’s senior-most safe driver, with 42 years of accident-free driving under his belt. There are 2,728 total full-time UPS drivers in Tennessee. “My thanks go to all of them for their dedication and focus and for the countless lives they’ve saved,” said Cher Porties, president, UPS Mid South District. “Their attention to detail has kept them safe and has helped improve public safety.” Globally, the most seasoned UPS Circle of Honor driver is Thomas Camp of Livonia, Mich., with 56 years of driving without an accident. Ronald McKnight of Bronx, N.Y., is next in line with 50 years of safe driving. One hundred twenty six others have logged at least 40 years without an accident. UPS’s 125,000 small package drivers worldwide are among the safest on the roads, logging close to 4 billion miles a year and delivering 5.2 billion packages annually. Collectively, these drivers have achieved more than 298,957 years of safe driving throughout their careers. That’s enough time behind the wheel to drive non-stop from Miami to San Diego – 68 million times. And they’ve done it while helping to deliver 3 percent of the world’s GDP – 20 million packages a day. 3150 Hwy 64 Crump, TN / (731) 632-5011 / Closed: Sunday John Smith (left) and Bryan Huff (right) interview Jimmy Hardin during the Town Life Podcast. range from McNairy County tourism, the county’s library system, the Carl Perkins Center, UT-Martin/McNairy, festivals, the town’s music history and others. It has been downloaded more than 300 times and can be found on iTunes and the Google Play store. The McNairy County Board of Education is seeking bids for roofing/repairs to the Ramer Elementary School. A copy of the bid specifications and guidelines are available for pickup at: McNairy County Board of Education 530 Mulberry Ave., Suite2 Selmer, TN 38375 Bids must be submitted to the Board Office at 530 Mulberry Ave., Suite 2, Selmer, TN 38375 by 10 A.M. on Tuesday, April 30, 2019. Bids must be in a sealed envelope with the Company Name, address, phone number and the name of the bid project on the outside. The McNairy County Board of Education reserves the right to accept or reject any or all bids. Shorts Middle School Girls Soccer Tryouts Tryouts for girls in 5th-8th grade and homeschooled students are set for May 13-14 at Selmer Middle School Field. The tryouts are scheduled for 5-7 p.m. each day. Players must attend both days and wear soccer cleats and shin guards. For more information call Rebekah Lowrie at 731-4393022 or email rebekahlowrie@ yahoo.com. McNairy Central dropped a pair of close matches on Monday night at Jackson North Side. Lady Bobcat sophomore Lani Moore (left) and the girls team lost 4-3 to the Lady Indians. The Indians also defeated the Bobcats 4-3. Both McNairy Central teams return to action Thursday with a district match at Jackson South Side. The Cardinals led 2-0 at halftime, but fell 6-4 with the aid of four Loretto penalty kicks. Adamsville is 2-3-1 on the season. Jacob Bowles (left) controls the ball for Adamsville. Stone Teague connects for McNairy Central versus Scotts Hill on Monday. ADAMSVILLE – The Lexington Lady Tigers sent seven runs across the plate in the fourth inning. Lexington used the big inning en route to an 8-0 victory over the Adamsville Lady Cardinals on Monday. Outside of the bad inning, the Lady Cardinals surrendered a run on five hits and a walk in the District 14-AA contest. plate Wynn, Bowles and Kelley. Fisher scored on a wild pitch. Shelbe Sisk, Sierra Luster and Combs singled, scoring Sisk. Luster and Combs scored on consecutive ground ball sacrifices to put Adamsville up 8-0. Ganus singled to lead off the fifth, then stole second and scored on a Jaden Driskell single. Gracie Hutton drew a two out walk and Dickerson singled Driskell home. Luster singled to score Hutton. Adamsville pitcher Shelbe Sisk fires a pitch home. John Droke gets the loose ball for McNairy Central. get some shots on-goal in the first half, but could not get them past the Lexington keeper. The Tigers increased their lead to 2-0 before Matthew Young scored for MC to cut the deficit in half. After a goal by Lexington built their lead to 3-1, the Tigers salted the game away by scoring on two free kicks late in the match. McNairy Central’s Ricardo Collado-Carneado (right) makes a move on a North Side player. 4-0 midway of the second half. North Side snapped the shutout to close within 4-1 in the latter portion of the game. McNairy put the game away when John Droke made a beautiful pass across the face of the goal to allow Ricardo Callado-Carraedo to drive it home. Leb Pennington and Droke led the defense with six stops apiece. Cook also praised the defensive play of Jaqueze Stackens and first-time starter Blake Taylor. Ellis had three saves and six stops. Anabelle Whitaker puts the tag on a Chester County runner. on Maxedon’s ringing double to left field. Chester Co. put the game out of reach with two runs in the seventh inning. McKinley doubled and Leslie McMahan hit a 2-run homer to increase their spread to 9-2. Alyssa Nash singled in the sixth inning for McNairy’s only hit in the last two innings. McKinley was the winning pitcher for CCHS. Kylee Brown was the losing pitcher for McNairy. She gave up just five earned runs, struck out 10, walked three, and allowed eight hits. three-run home run to put the Lady Cardinals up 5-2. The Lions cut the Adamsville lead to 5-4 on three hits in the third. They tied the game 5-5 on a pair of walks, a pair of errors and a hit in the sixth. Scotts Hill scored the final five runs. ond time in the game to bring the goahead run to the plate with just one out. The scoring chance came up empty when the next two batters were retired. Stone Teague walked to lead off the home half of the seventh inning. A sacrifice bunt attempt failed and pinch-runner Seth Wilkerson was thrown out at second base. spread to 7-0. Jake Morris was the losing pitcher. He gave up two earned runs, allowed seven hits and walked four in 3.1 innings of work. Logan Baker finished up the game in relief. He gave up three earned runs, four hits and struck out three. South Side 12, McNairy 8 South Side broke loose to score eight runs with two outs in the fifth and added four in the sixth to rally to beat McNairy Central. MC pitcher Will Deaton was cruising along with a no-hitter in the fifth when the wheels fell off for the Bobcats on Wednesday. South Side erupted for eight runs to erase a 6-0 McNairy lead. The next two batters got out to end the game. Wilder (3-2) was tagged with the loss. He did not allow an earned run, gave up five hits, struck out six and walked only one in his complete game effort. McNairy Central traveled to Scotts Hill on Tuesday in a rematch of the District 14AA contest. COMPARE OUR PRICES We have up to 100 sheds in stock - each one ready for delivery! WOOD - METAL & VINYL SIDING! MORE BARN FOR YOUR MONEY! Marie Inman Shelton was born September 2, 1928 in McNairy County, Tenn., the daughter of the late C. S. and Nelia Lipford Inman. She was united in marriage to G. C. Shelton on May 24, 1968. Mr. Shelton preceded her in death on March 31, 2009. Mrs. Shelton was a devoted homemaker for her family. She loved children and enjoyed babysitting for her family and friends in the community. West Shiloh Baptist Church had been her church home since 1980. Mrs. Shelton departed this life on April 11, 2019 in Selmer, Tenn. at the age of 90 years, 7 months, 9 days. She is survived by a daughter, Jone Dixon and husband Wendell of Corinth, Miss. ; three stepdaughters, Charlotte Dickey and husband Jimmy of Stanonville, Tenn., Vickie Young and husband Gregg of Corinth, Miss., and Pam Staggs of Hot Springs, Ark. ; a stepson, Philip Shelton and wife Susan of Byhalia, Miss. ; seven grandchildren: Jenna Dixon, Sharon Horsewood and husband David, Allison Smith and husband Perry Neal, Jennifer Malone, Jeff Bass, Dillon Staggs, and Dalton Staggs; five great-grandchildren: Hunter Dickey, Calvin Smith, Will Smith, Max Horsewood, and Sybil Smith; a sister, Dorothy Nichols of Corinth, Miss. ; two brothers, Loyce Inman of Selmer, Tenn. and Larry Inman and wife Jan of Selmer, Tenn.; and many extended family and friends. In addition to her husband and parents, Mrs. Shelton was preceded in death by five brothers: Lloyd Inman, J. D. Inman, Thomas Inman, Jerry Inman, and Robert Inman, who died in infancy. Services were held on April 14, 2019 at 3 p.m. at Shackelford Funeral Directors in Selmer, Tenn., with Jerry D. Woods officiating. Burial followed in the West Shiloh Cemetery at Stantonville, Tenn. Memorials may be made to West Shiloh Baptist Church. Vince Cowan of Adamsville, Tenn. departed this life on Wednesday, April 10, 2019, at the age of 76 years, 5 months, and 20 days. He was born in Binghamton, N.Y., on October 21, 1942, the son of the late Husta and Constance Brady Cowan. On August 6, 1984, he was united in marriage to Donna M. Bulger, who survives. Vince was a Senior Chief Officer in the United States Navy, he retired after 22 years of loyal service. He had lived in Adamsville, Tenn. for 13 years and loved to fish. Along with his wife of 34 years, Donna of Adamsville, Tenn., Vince is survived by his children, Stacy Cowan of Texas and Vincent Cowan of New Mexico; three grandchildren; one great grandchild; three sisters; and one brother. In addition to his parents, Vince was preceded in death by a son, Timothy Cowan. No public services to be held. Carolyn Jane Wade Carolyn Jane McDonald Wade was born to the late Claudie and Velma McDonald in Kibbee, Ga. on May 18, 1935. She lived a simple life which valued family and faith. Carolyn loved the Lord and her legacy of faith lived on through her two children, five grandchildren and nine great grandchildren. Carolyn was a gifted seamstress and could expertly sew anything from dresses and curtains to furniture covers. Carolyn enjoyed reading books and had them all around her house. She always had her Daily Bread Devotional and Bible nearby. Even though she was unable to attend church she continued to worship at home. She had a gift for encouraging friends and family with hand-written notes and always remembered each one of her family with special cards and gifts at Christmas and birthdays. Carolyn was always helping her friends. Carolyn loved attending church and was most recently a member of First Baptist Church in Selmer. She was active in Sunday school, enjoyed singing in the choir, and was quick to serve others. She passed away on Saturday, April 13, 2019 at the age of 83 after seeing all nine of her great-grandchildren in the preceding two weeks. Mrs. Wade is survived by her daughters, Susan Lee (Robert) of Selmer and Sharon Nowak (Bryan) of Hoschton, Georgia; grandchildren, Rebecca Lee Maddox (Casey) of Hoover, Ala., Robert Kirk Lee Jr. of Nashville, Kristen Parker (David) of Jefferson, Ga. Kevin Nowak (Rebekah) of Senoia, Ga., and Terri Davis (Jason) of Winder, Ga.; nine great grandchildren, Will and Abby Maddox, Logan, Jacelyn, and Xander Parker, Ellison, Emelia Rae, Everly, and Eland Nowak; and a host of close friends. Memorials may be sent to Jesus Cares of McNairy County. Services were held on April 16, 2019 at 11 a.m. at Shackelford Funeral Directors in Selmer, Tenn., with Ryan Reed officiating. Private Family Interment at Oak Hill Cemetery. Patrick Ray Chessor John Calvin George John Calvin George was born on March 31, 1933, in a log cabin in Needmore, Tenn., the son of the late James George and Ina Arbie Farris. He graduated from Michie High School, and married Peggy Price in 1951. They had three daughters; Linda, Pam, and Janet. Mr. George served in the United States Army in 1953. He worked a total of 27 years for Cross Tie Companies as an Area Supervisor. He also farmed, worked as a carpenter, and started several businesses. He retired in 1994, but continued to enjoy buying and selling land and timber. Mr. George was known for his amazing memory and his ability to tell a story. He could recall, in detail, events that occurred many years ago. He enjoyed traveling, playing Dominoes and cards, and collecting World’s Fair memorabilia. He was a doting grandfather and loved spending time with his grandchildren, and they all adored him. He was a faithful member of the Acton church of Christ his entire life. Mr. George departed this life on April 10, 2019, at the age of 86, at his home in Michie, Tenn., surrounded by his family. He is survived by his wife of 67 years, Peggy Price George of Michie, Tennessee; three daughters, Linda Hagy and husband Nor of Michie, Tenn., Pam Cox and husband David of Memphis, Tenn.; Janet George of Jackson, Tenn.; seven grandchildren; Vin Hagy of Michie, Tenn., John Hagy and wife Roni of Nashville, Tenn.; Allen Hagy and Sara of Memphis, Tenn., Emily Cox and husband George Dudley of Memphis, Tenn., Lauren Short and husband Ben of Memphis, Tenn., Brooke Sanford and husband Steve of Memphis, Tenn., Anna Goethals and husband Trey of Morristown, Tenn.; six great grandchildren; Beckett Hagy of Nashville, Tenn., Rowan and River Hagy of Memphis, Tenn.; Jacob, Luke and Samuel Sanford of Memphis, Tenn.; one brother, Malcom George and wife Verlin of Hohenwald, Tenn.; and one sister, Jean Smith and husband George of Michie, Tenn.; and many extended family and friends. In addition to his parents, Mr. George was preceded in death by a grandson, Nicholas Hagy and two brothers; General George and Ray George. In lieu of flowers, memorials may be made to the Acton church of Christ Christian College Scholarship Fund; P.O. Box 98; Michie, TN 38357. Services were held on April 13, 2019 at 1 p.m. at Acton church of Christ in Michie, Tenn., with Mike Eaton officiating. Burial followed in the Acton Community Cemetery in Michie, Tenn.
Patrick Ray Chessor was born in Bold Springs, Tenn. on October 9, 1950, the son of the late John Samuel and Bessie Mae Rice Chessor. On February 22, 1974, he was united in marriage to Elizabeth Kay Parson, who survives. Patrick departed this life on April 11, 2019, at the age of 68 years, 6 months, and 2 days. Patrick was a member of Love and Truth Church in Adamsville, Tenn. He worked in the mobile home business for 35 years, including several years as the Vice President at Patrick Home Center. Patrick enjoyed watching University of Tennessee football and loved his family. In addition to his wife, Kay, of 45 years, Patrick is survived by his daughter, Maranda McGee and husband Jeremy of Savannah, Tenn.; son, Kyle Chessor of Lyles, Tenn.; brother, Sam Chessor and wife Mary Ann of Savannah, Tenn.; brothers-in-law, Leslie Parson, Dennis Spencer, and James Allred; sisters-in-law, Loraine Spencer, Dora Jane Hill, and Carolyn Allred; grandchildren, Kailey Rector, Bethany Chessor, Chelsie Chessor, Gracie Chessor, Cody Hardin, and Cassidy Hardin; and eight great grandchildren. In addition to his parents, Patrick was preceded in death by his sisters, Frances Chessor Little and Jolene Works; brothers, Roy Chessor, W.B. Chessor, Jack Chessor, and Waddell Chessor; sister-in-law, Kathryne Parson; brother-in-law, Frank Hill; and motherin-law and father-in-law, Herbert and Verine Parson. Services will be held on April 14, 2019 at 1:30 p.m. at Shackelford Funeral Directors of Savannah in Savannah, Tenn., with Jason Spencer, Jimmy McGee, Scott Melson officiating. Burial will follow in the Centenary Cemetery at Lutts, Tenn.
James Gorman King James Gorman King was born February 3, 1930 in Chester County, Tenn., the son of the late Jim and Jewell Rowland King. He was united in marriage to Judy Armour on January 5, 1960. Mr. King worked for over 20 years for Western State Mental Institution. He enjoyed working in flowers, caring for his cats and dogs. He loved his family especially his grandsons. Mr. King departed this life on April 9, 2019 in Hornsby, Tenn. at the age of 89 years, 2 months, 6 days. He is survived by his wife of 59 years, Judy King of Hornsby, Tenn.; a son, James Keith King of Hornsby, Tenn.; a grandson, Colton James King of Hornsby, Tenn.; a brother, Paschel King of Hornsby, Tenn.; and a host of extended family and friends. In addition to his parents, Mr. King was preceded in death by a grandson, Austin Robert King; a sister, Onieda Russom; three brothers, Kirby, Raymond, and Larry King. A graveside service was held on April 10, 2019 at the Woodville Cemetery with Jetta Forsythe officiating. starting at 10:30 a.m. There will be an Easter story, prizes for all children and lunch will be served. Everyone come for a great time of fellowship and fun. • Easter Egg Hunt Full Gospel Fellowship An Easter Egg Hunt will be held at Full Gospel Fellowship Church located at 6595 Hwy 64 West, Bethel Springs, for children ages 0-10 at noon on Saturday, April 20th. April 21 • Forty Forks Baptist Church Once again this Easter, The Old Rugged Cross will be transformed into, The Beautiful Living Flowering Cross. Bro. Randy Smith, along with the congregation wishes to invite you to attend the morning services and witness this striking conversion of an old rugged cross! Absolutely Amazing! Sunday School: 9 a.m., Worship/ Preaching: 10 a.m. Church located, 672 Ed Barham Rd, Bethel. More info call: 731-439-0552 / 610-9652. • Homecoming at Finger First Baptist Finger First Baptist Church Homecoming will be on Sunday, April 28. Services and singing begins at 11 a.m. Fellowship meal to follow. Everyone welcome. Holiday Closing Pickwick Electric Cooperative will be closed Friday, April 19. Standby crews are available in case of emergency. Have a safe and enjoyable holiday. • CONNECT! On Thursday evening, May 4th, men and women of our the community who are seeking to grow closer to Christ through building connections with others are invited to CONNECT at the First United Methodist Church, located at 1122 West Cherry Ave., in Selmer. Open to all ages, (married or single), you’re invited to bring a dish to share in the pot-luck that will begin at 5:30. After the meal the men will move to the sanctuary for a time of praise and worship with Mr. Jacob Harris as the guest speaker. The women attendees will remain together in the fellowship hall for a time of singing and to hear a message by Mrs. Leanne Emmons. • “Windy City” Guided Tour Get ready for an adventure to the “Windy City” July 1519, 2019. Enjoy a guided tour of Chicago’s highlights, visit the Navy Pier, Fed’s Money Museum, Shedd Aquarium and much more. For information on cost or any questions, call Rowena at (731) 645-7843. Imogene Johnson and family would like to thank everyone for all their prayers, food and visits during her time of illness. May God Bless you all. Life Tabernacle Church on Highway 142 in Selmer, would like to say a special thank you to all the local fire departments that responded on Saturday, March 23rd, to the fire that took our outdoor building. If it were not for the amazing work done, and most assuredly God’s mighty hand working through these great people, our church building would have been destroyed due to the proximity of the building to the church itself. We are so blessed in this community and McNairy County to have your services in times such as this. A special thank you to Robert Holland as well as Drew Smith and Dylan Parmley for courageously and unselfishly risking their safety to rescue the church lawn equipment from the flames. Another special thank you to Dan Micheal’s Tire Shop and his assistance and support. Finally, much love and thanks to our own Larry Chandler, who was such an amazing help to the church that day; he has been and continues to be such a blessing to Life Tabernacle. • Annual Easter Egg Hunt Selmer Parks and Recreation will be having their annual Easter egg hunt on April 20 at 10 a.m. at Selmer City Park. All kids are welcome to participate for free. Please bring your own basket. Photos will be with the Easter Bunny. (bring own camera) For more information, please call (731) 645-3866. • 8th Annual O.F. Wagoner Memorial Tractor Show The 8th Annual O.F. Wagoner Memorial Tractor Show will be held at the Stantonville Civic Center on Saturday, April 20th. The event is hosted by the Stantonville Volunteer Fire Department. Food will be available. This year’s show is a tribute to the Ashe Family, (W.C. Preacher, Billy & Wes). Tractors, farm equipment, lawn & garden tractors, and antiques cars are welcome to enter. For more info call 731-610-1282 or 731-610-5043. • Rabies Clinic McNairy County will hold a rabies clinic the week of April 22-27. Animals can be vaccinated at Moore’s Veterinarian Clinic in Bethel Springs and at the Animal Doctor in Selmer for a discounted rate of $7. Muscadine vines (2 qt. pots) $6.50 ea. 5 for $30 Fig, 4 varieties, $6.50 ea. or 5 for $30 Thornless Blackberries $6.50 ea. or 5 for $30 Pear Trees, bearing age, $12.50 Blueberries (early, mid, late season) $6.50 ea. 5 for $30 Perennials (2 qt. pots) $5.00 and up Dinner plate size Hibiscus Blooms $12.50 Knockout and Scented Roses $10 Hydrangeas: Lime Light and others $12.50 ea. Evergreen Shrubs (2 gal. pots) $12.50 Boxwood Shrubs (2 gal. pots) $12.50 Several varieties (2 qt. Evergreen Shrubs) $5 ea. Azaleas Old Fashion Varieties $6.00 Azaleas Reblooming (several colors) $10 each Flowering annuals $6.50 ea. or 5 for $30 Hanging Baskets 10” $8.50 ea. Tomato Plants: with Tags $1 ea. Elephant Ears $10 ea. and much, much more! Mr. Mancel Kirk of Finger, Tenn. WWII Veteran celebrating 95 years. • Good Hope Baptist Church Cook-Off The 12th annual Good Hope Baptist Church BBQ Cook-off is set for Saturday, April 27. There is no entry fee. All cookers must be registered by April 21. Call the church office for more information and details (731) 632-0379, leave a message, someone will return your call. • Milledgeville Heritage Day Festival The 6th Annual Milledgeville Heritage Day Festival will be held April 27 at Milledgeville City Park. Registration and activities begin at 9 a.m. Antique tractor and vintage farm equipment show, car and motorcycle show, corn hole tournament, art & crafts, hit and miss engines, pedal cars and etc. Too much to mention. To reserve vendor space or for more information call (731) 925-1396. Free admission to all. • Anchor Holds Cruise-In Anchor Holds Cruise-In will be at Buzzers Bar and Grill, 3510 Hwy 128 Pickwick Rd., Savannah. Music, free pool, darts, bring your lawn chairs. For more information call Regina Blanton at (731) 439-1624. FISH DAY! IT’S TIME TO STOCK YOUR POND! Bolivar 12:45 - 1:30 @ Stockdales Selmer 2:15-3:00 @ Stockdales Like us on Facebook! • I will pay before any timber is cut. • Will pay good price. If you can sing, come join us! • National Prescription Drug Take Back Event In an effort to fight opioid abuse, McNairy County residents are invited to bring their unused or expired medications to Adamsville Police Department from 10 a.m. until 2 p.m. located in City Hall, 231 East Main Street in Adamsville. This National Prescription Drug Take Back event aims to provide a safe, convenient location to dispose of prescription drugs and other over-the-counter medications and to raise awareness about the potential risks for abuse and misuse of certain medications, such as opioids. • Big Hill Trail Run A Big Hill Trail run will be held on April 27 at Big Hill Pond State Park, 6 a.m. check in, races start at 8 a.m. Preregistration is going on now! http://www.bighilltrailrun. com. Please call for questions about the Bill Hill Challenge or Sheriff’s Challenge. For more info. call (731) 645-6360. • Spring Piano Recital You are cordially invited to attend Ms. Johnnie’s Spring Piano Recital. Eighteen students will perform on Sunday afternoon, April 28th at 1 p.m. at Bethesda Presbyterian Church. A reception will follow. • McNairy County Historical Society Please join the McNairy County Historical Society for our monthly meeting, Tuesday, April 30 at 7 p.m. at the Jack McConnico Library in Selmer. Ms. Jessica Huff, Director of Tourism at McNairy County Chamber & EDC will speak on Tourism in McNairy County. • Gravel Hill-Huggins Cemetery Clean-Up The Gravel Hill-Huggins Cemetery Clean Up Day will be Saturday, May 4 at 8 a.m. Donations are needed for mowing and maintenance of the cemetery. • 2019 Double DD Music Festival Two days of fundraising activities will be held Saturday, May 4 and Sunday, May 5 at Double DD, 960 Highway 64, Adamsville, Tenn. (between Adamsville and Crump). This funds from this benefit will go towards the 2019 flood victims. The events will be from 10 a.m. until 6 p.m. Bring your lawn chairs. Lots of music, corn hole tournament, flea market, cake walks, cruise-in, motorcycle poker run, arts and crafts, raffles, etc. Too much to mention. For information call (731) 438-3513 or (731) 727-6051. • Middle School Girls Soccer Tryouts The Soccer tryouts for Middle School girls will be held May 13 and 14 at Selmer Middle School Field from 5 until 7 p.m. Grades 5 thru 8 (All County Schools and Home School). Please wear soccer cleats and shin guards. If you have any questions call (731) 439-3022. • Shiloh Area Street Rods Car & Bike Show Memorial Day weekend will kick off Shiloh Area Street Rods from 8 a.m. until 2 p.m. at Adamsville City Park in Adamsville,Tenn. There will be great food, kids games and cash and prize drawings. Everyone is welcome. Proceeds donated to Sheltering Tree Ranch, dedicated to children with autism and any other learning challenges. Mail preregistration to Judy Prather, 353 Roy Seay Road, Selmer, TN 38375. GET YOUR INSTALLMENT LOAN AS SOON AS TODAY! Call (731) 646-1223 • Loans from Approximately $300 to $10,000* • Most loans approved within one hour • Referral Incentive available *All loans subject to our usual credit underwriting policies. STEM is not your parents’ science class. STEM is an acronym for science, technology, engineering and mathematics. While it has been around for years, it is fairly new to McNairy County education. STEM lessons include project based activities that seamlessly connect the four disciplines. Teamwork is encouraged as students make observations and predictions, carry out simple to complex experiments and make adjustments. Failure is actually encouraged in STEM classes. Trial and error, as well as struggle and perseverance, are all parts of STEM education. STEM isn’t just for students who want to grow up to build skyscrapers or develop the newest app. It is for everyone because at its heart, STEM is about problem-solving. STEM is important because our world depends on it. There are 2.4 million STEM jobs in the United States that are projected to go unfilled this year. Non-STEM jobs in the country pay an average of $19.30/hour. The average hourly wage for STEM jobs is $38.85. These jobs include manufacturing, food production, health care, computer coding, and much more. It is never too early to start STEM. Every elementary school in McNairy County will receive STEM materials for teachers to use in their classrooms. Students in Megan Moore’s class (from left) Stella Rhinehart, Ella Redmon and Anniston Choate take part in a STEM experiment. ADAMSVILLE – Lexington pulled it out in the end. The Tigers scored five times in a 9-7 comeback victory over Adamsville on April 9. Adamsville struck first in the second inning. Collin Misenhimer hit a leadoff double and moved to third on a ground ball base hit by Jordan Morris. Misenhimer scored on a sacrifice fly by Tyler Barclay. Lexington scored three runs in the top of the third to take a 3-1 lead. Peyton Harris homered in the bottom of the third to cut the Tiger lead to 3-2 and Barclay hit a leadoff home run in the fourth to tie the game at 3-3. The Tigers took the lead in the top of the fifth on four walks and a passed ball. Lathan Morris led off the fifth with a home run to tie the game at 4-4. Harris was hit by a pitch and Misenhimer singled before pinch runner Kaleb Graham scored on a passed ball that sent Misenhimer to third. Misenhimer scored on a passed ball to give the Cardinals a 6-4 lead. Lexington took the lead for good at 9-6 in the seventh on a hit batter, an error, two walks, a double and a single. JACKSON – South Side kept its tight grip on first place in District 14-AA. The Lady Hawks scored in each of the first four innings and capitalized on McNairy’s mistakes to score three unearned runs en route to a 6-0 victory on Thursday. The Lady Hawks got the only run they would need in the first inning when Anna Taylor smoked a liner off the center field fence for a triple to drive a run. McNairy (4-7, 1-5) got their only hit of the contest when Anabella Whitaker singled in the top of the first inning. Carly Maness walked in the second inning and advanced on a passed ball before being left there. She was the lone Lady Bobcat to reach second base. Jackson Cook and Samuel Leitschuh work as a team in a STEM activity. The Lady Tigers won the pitcher’s duel at MCHS. Lexington’s Jacy Weaver and McNairy’s Kylee Brown hooked up in an old-fashioned duel before LHS pulled out the win. The Lady Tigers won the season opener between the teams 11-2. McNairy (4-6, 1-4 in 14-AA) threatened to score in the first when Tori York walked and Anabelle Whitaker reached on an infield single to put two on with two outs. Weaver retired the next batter to end the inning. McNairy put together another two-out scoring chance in the fourth. Analyn Maxedon ripped a clean single to center. Audrey Pierce laid down a perfect drag bunt to put the lead run in scoring position. Carly Maness lined to right only to find the right fielder shallow enough to make the catch and prevent McNairy from scoring a run. dryer and paper towers that could support books. Regardless of age/grade, if a student is excited, he/she is engaged and when engaged, a student is learning. home? Will Bubba find what he’s looking for? Join us at the Little Theatre Friday, April 26 and Saturday, April 27 at 7:00 pm and Sunday, April 28 at 2:00 pm. Admission is $5 for adults and $3 for kids 10 and under. The PawPrint is looking for student reporters for the 2019-2020 school year. Students in grades 10, 11 & 12 should submit an application. Forms are available in your school email, and are due by Friday, April 19. Third graders at Selmer Elementary School received a wonderful introduction to the basics of computer coding. Michael Puckett and Martha Gray from Spectrum/ Phillips 66 gave a slide presentation, a short video and discussed the career path of a computer scientist. Gray (from left) helps Jakob Tucker, Stephanie Mardis and Sebastian Worley. Puckett and Gray concluded their presentation with an introduction to the Hour of Code which is a global movement to reach millions of students through a one hour introduction into computer science and programming. Using their own chrome books, students created an algorithm and coded their own Star Wars game. Math students at Selmer Middle School celebrated Pi day on March 14. They wore pi t-shirts, played pi games, had pi scavenger hunts, and enjoyed pi shaped refreshments. APOSTOLIC Life Tabernacle 1353 Hwy. 142, Selmer Thomas Davis, Pastor Sunday Worship: 10 a.m. Wednesday: 7 p.m.
New Jerusalem Faith Apostolic Church 27 Linley Circle, Selmer Bishop Ferdinand Gant Sr. Pastor Wanda Gant Sunday School: 10 a.m. Sunday Worship: 11 a.m. Bible Class: Wed. night 7 p.m. Prayer: Wed. night 6 p.m. BAPTIST Meeks Grove Freewill Baptist 1030 Tommy Sanders Rd., Stantonville Adamsville Freewill Baptist Church Old Shiloh Road Adamsville, TN 38310 Marcus Morrow, Pastor Sunday School: 10 a.m. Worship: 11:15 a.m. Sunday night: 5 p.m. Bible Study 7 p.m. Solitude Freewill Baptist Church 414 Meeks Rd., Adamsville Sunday: 9:45 a.m., 11 a.m., 6 p.m. Wednesday: 7 p.m. INDEPENDENT Calvary Baptist Church Hwy 22 North, Adamsville Sunday School: 10 a.m. Worship: Sun. 11 a.m. & 5 p.m. Faith Baptist Church 1301 Peach St., Selmer Mark Shumaker, Pastor Sunday School: 9:45 a.m. Sunday: 11 a.m. & 6:30 p.m. Wednesday: 7 p.m. Fellowship Baptist Church 1308 High School Rd., Selmer Pastor: J.D. Matlock Sunday School: 9:45 a.m. Sunday Worship: 10:45 a.m. & 6 p.m. Wednesday: 7 p.m. Locke Road Baptist Locke Road, Selmer Mickey Cossar, Pastor Sunday School: 10 a.m. Sunday Worship: 11 a.m. / Wed. 6:30 p.m. Lighthouse Baptist Church 1780 Mulberry Ave., Selmer Jorgen Runquest, Pastor Sunday School: 9:45 a.m. Worship: 11 a.m. & 5 p.m. PRIMITIVE BAPTIST Better Hope Primitive Baptist 4235 Leapwood-Enville Rd., Adamsville Elder Gene Gist, Pastor First Sunday of month beginning at 10:30 a.m., preaching 11 a.m.
Lorraine Baptist Church Melvin Qualls Rd., Michie,TN Trent Nethery, Jr., Pastor Sunday School: 10 a.m. Sunday Worship: 11 a.m., 6 p.m. Wednesday: 6:30 p.m.
6 p.m. Wednesday: 7 p.m.
Adamsville Church of Christ 243 E. Main St., Adamsville Van Vansandt, Minister Sunday School: 9:30 a.m. Sunday Worship: 10:30 a.m.
Mt. Gilead Baptist Church 6185 Rowsey School Rd., Bethel Springs Rev. Mark LaRue, Pastor Sunday Worship: 10 a.m. & 5 p.m. Wednesday: AWANA 6:30 p.m. Youth & Adults 6:45 p.m.
Cypress Tank Church of Christ 2645 Cypress Tank Rd., Pocahontas Dr. Brian Jackson, Minister Sunday School: 10 a.m. Sunday Worship: 11 a.m., 5 p.m. Wednesday: 7 p.m.
Mt. Zion Baptist Church Litt Wilson Rd., McNairy TN Bro. Zac Bennett, Pastor Sunday: 11 a.m., 6 p.m. Wednesday: 7 p.m.
Eastside Church of Christ 1366 E. Poplar, Selmer Sunday School: 9:30 a.m. Sunday Worship: 10:30 a.m. Wednesday: 7 p.m.
New Hope Baptist Church 854 Chandler Lane Pocahontas, TN Sunday School: 10 a.m. Sunday Worship: 11 a.m. & 6 p.m.
Fourth Street Church of Christ 142 N. Fourth St., Selmer Brian Stephens, Minister Sunday School: 9:30 a.m. Sunday Worship: 10:30 a.m. & 6 p.m. Wednesday: 7 p.m. Liberty Church of Christ 1005 North Liberty Road Michie, TN 38357 Minister: Jeff Harville (205) 712-3502 Sunday School: 10 a.m. Sunday Worship: 9 and 11 a.m. Wednesday: 7 p.m. Stantonville Church of Christ 8228 Hwy 142, Stantonville Randy Cook, Minister Matt Cook, Minister Sunday School: 9:00 a.m. Sunday Worship: 10:00 a.m. Discussion Class: 11:15 a.m. Wednesday: 6:30 p.m. CHURCH OF GOD Center Ridge Pentecostal Church of God 910 Center Ridge Rd., Bethel Springs Rev. Carl Wilcher Pastor Sunday School: 9:45 a.m. Sunday Morning Service: 10:45 Sunday Night Service: 5:30 Wednesday: 7 p.m.
CUMBERLAND PRESBYTERIAN Court Ave. Cumberland Presbyterian Church 234 W. Court Ave., Selmer Sunday School: 9:30 a.m. Sunday Worship: 10:45 a.m.
Mt. Vernon CP Church 3101 Mt. Vernon Rd., Ramer David Sprenkle, Pastor Sunday School: 10 a.m. Sunday Worship: 11 a.m. New Salem Cumberland Presbyterian Church 453 New Salem Rd., Bethel Springs David Sprenkle, Pastor Sunday Worship: 9:30 a.m. New Bethel Cumberland Presbyterian Church New Bethel Road Rev. Jeff Powell Worship Service: 9:45 a.m. Ramer Cumberland Presbyterian Church Highway 57 West, Ramer Pastor: Albert Brown Sunday School: 10 a.m. Sunday Worship: 11 a.m. METHODIST Adamsville First United Methodist 206 East Main St., Adamsville, TN Rev. Amanda Westmoreland Sunday School: 10 a.m. Sunday Worship: 11 a.m. Buena Vista Methodist Church Tull Road, Bethel Springs Roger South, Pastor Sunday Worship: 9:00 a.m. First United Methodist Church 1122 West Cherry Ave., Selmer Joy Shelby Weathersbee, Pastor Sunday Worship: 9:30 a.m. Sunday School: 10:30 a.m. Wednesday: Supper 5:30 p.m. Bible Study & Breakouts: 6:30-7:30 p.m. Hickory Flatt United Methodist Church Puron Rd., Hickory Flatt Howard Russom, Pastor Sunday School: 9:30 a.m. Worship: 10:15 a.m.
Piney Grove Church of God 888 Rose Creek Rd., Selmer Aaron Moss, Pastor Sunday School: 10 a.m. Sunday Worship: 10:45 a.m., 5 p.m. Wednesday: 6:30 p.m.
Lebanon United Methodist Church 250 Chambers Store Rd. Michie Casey Cupples, Pastor Sunday Worship: 10 a.m. Sunday School: 11 a.m. Wednesday: 6:30 p.m.
CHURCH OF GOD OF PROPHECY Church of God of Prophecy Hwy 22 N. Adamsville Alvin Jones, Pastor Sunday School: 10 a.m. Sunday Worship: 11 a.m. & 5:30 p.m. Wednesday: 6:30 p.m.
Maggie Jones United Methodist Church 8170 Finger-Leapwood Rd. Bethel Springs, TN 38315 Pastor Mathew Emison Contact info: 731-632-0240 Sunday School 10 a.m. - 11 Services (adult & children) 11 a.m. - 12 p.m. Wednesday Bible Study 5 - 6 p.m.
Church of God of Prophecy 1642 Curtis Hill Church Rd., Bethel Springs Richard Horner, Pastor Sunday School: 10 a.m. Sunday Worship: 10:45 a.m., 6 p.m. , Wednesday: 7 p.m. Church of God of Prophecy 3886 Main St., Bethel Springs Dan Morrow, Pastor Sunday School: 10 a.m. Sunday Worship: 11 a.m. Wednesday: 7 p.m. Michie Church of God of Prophecy 6681 Hwy 57 East, Michie Roy Bennett, Pastor Sunday School: 10 a.m. Sunday Worship: 10:45 a.m. & 6 p.m. Wednesday: 7 p.m.
New Bethel United Methodist Church 74 Wright St., Bethel Springs Shirley Williams, Pastor Sunday School 10 Sunday Service 11 a.m. Bible Study: Wed. at 7 p.m. New Hope United Methodist Church Sticine Rd. - Michie Sunday Worship: 9 a.m. Sunday School: 10 a.m. Wed. Bible Study: 6:30 p.m. Bro. Casey Cupples, Pastor Pebble Hill Methodist Church 2768 Chamber Store Rd., Michie Rev. Alvin Jones, Pastor Sunday Worship: 10 a.m.
Sulphur Springs United Methodist Sulphur Springs Rd., Selmer Roger South, Pastor Sunday School: 9 a.m. Sunday Worship: 10 a.m. Union Grove United Methodist Pleasant Site Road, Selmer Roger South, Pastor Sunday School: 10:20 a.m. Sunday Worship: 11:20 a.m. Thurs. Bible Study: 6 p.m. Mt. Vinson United Methodist 2100 Tommy Sanders Rd., Stantonville Amanda Hartmann Westmoreland, Pastor Worship: 9:15 a.m. Sunday School: 10:15 a.m. LUTHERAN MISSOURI SYNOD Prince of Peace Lutheran Church 4203 Shiloh Road Corinth, MS Mike Dickson, Pastor Sunday School Adult: 9 a.m. Sunday Worship Service: 10 a.m. Sunday School Children Adult: 10 a.m. PENTECOSTAL Beauty Hill Pentecostal Church 46 Beauty Hill Road, Bethel Springs, TN Pastor: Jonathan Tubbs Sunday School: 10 a.m. Sunday Worship: 11 a.m. Wednesday Evening: “Refreshing” 7:15 p.m.
PRESBYTERIAN Bethel Springs Presbyterian Church 59 4th Ave., Bethel Springs Rev. Gary Anderson Sunday Worship: 11 a.m.
Bethel Springs United Pentecostal 3591 Main St., Bethel Springs Jeff Young, Pastor Sunday Worship: 10:30 a.m., 6 p.m. / Mon. & Wed.: 7 p.m.
A New Beginning Sol Coulston Rd., Bethel Springs Kenneth Kitchen, Pastor Sunday School: 10 a.m. Sunday Worship: 11 p.m. Wednesday: 7 p.m.
First United Pentecostal-Eastview 7810 Hwy 45 S, Ramer Rev. Wayne Isbell, Pastor Sunday: 10 a.m. & 6 p.m. Monday: 7 p.m. Wednesday: 7:15 p.m.
Believer’s Church 1431 Peach St., Selmer Bill Linam, Pastor Sunday School: 9:30 a.m. Sunday Worship: 10:30 a.m., 6 p.m., Wednesday: 7 p.m. The Sanctuary of MPC 54 Pentecostal Ave., Milledgeville, TN Rev. Jimmy Kelly, Pastor Sun. School: 10:30 a.m., Youth 5:30. Wednesday: 7 p.m. Gateway Holiness Chapel 2342 Refuge Rd., Bethel Springs Michael Price, Pastor Sunday: 2 p.m. / Thursday: 7 p.m.
First Christian Church 133 N. Third St. Selmer Preacher, Gregg Worthey Sunday: 10:30 a.m. & 6 p.m. Wednesday: 7 p.m. First ChristianChurch 254 N. Maple St. Adamsville, TN 38310 Clint Hopper, Minister (731) 632-3012 Sunday Bible Class 9:30 a.m.
Sunday Worship: 10:30 a.m. FCC Wednesdays Meal 5:30 Worship/Studies 615 p.m. 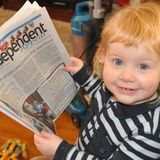 LETTERS TO THE EDITOR The Independent Appeal welcomes your opinion. Letters to the editor are subject to editing or omission for length, style or libel. All letters must include the writer’s name and signature, as well as a phone number and address for verification. The Independent Appeal does not publish anonymous letters. Letters deemed suitable for publication will run as soon as possible after receipt on a space-available basis. Because of space limitations, letters should be limited to 400 words, about two double-spaced, typed pages, one letter per person every 90 days. • Veronica Sebree Petty Officer 3rd Class • Alan Seigers, Army • SFC Patrick Michael Shaughnessy • Spc. Hector Soto, Jr., Army • LT Kevin Shelton, Navy • Cpl. Jeremy Tyler Sisk • ITSN Rusty Smith, US Army • Cpl. Sam Speck, USMC • Sgt. Shaun Spicher, USMC • Sgt. Richard A. Ssesanga, US ARMY • Airman Nathaniel A. Stout • Spc. Daniel Sullivan, Army • 2nd Lt. Chad Sweaton, Army • Spc. Dakota Taylor, National Guard • Jeremy Thompson • Cpl.. Logan Gage Ward, U.S.M.C. • A1C Parker K. Wheeler, USAF • ET3 Jeremy Wilbanks, US Coast Guard • Pvt. Demaro Wiley, SC, Army National Guard • A1C Logan James Williams, USAF • Joseph Lloyd Williams MM3 US Navy • Master Sgt. Stanley Wilson, USAF - Retired • Spc. Jeffrey Witoszczak U.S. Army • Petty Officer 1st Class (CTNI) James M. Wolford EDITOR’S NOTE: If a loved one has had a change in status, contact us at (731) 645-5346.
found at 12 C.F.R. Part 262. Procedures for processing protested applications may be found at 12 C.F.R. 262.25. To obtain a copy of the Federal Reserve Board’s procedures, or if you need more information about how to submit your comments on the application, contact David L. Hubbard, Senior Manager, 314-444-7303. The Federal Reserve will consider your comments and any request for a public meeting or formal hearing on the application if they are received in writing by this Reserve Bank on or before the last day of the comment period. comment on this application also may file comments in writing with the Commissioner of Financial Institutions, 312 Rosa Parks Avenue, 26th Floor, Nashville, TN 37243, or contact the Department via telephone at (615) 751-5018. Anyone desiring to protest this application may do so if such protest is filed in writing within fifteen (15) days of this publication. notice to come and pick up the truck within 14 days. That means it must be picked up by May 10th. You must have title with you. Address is on title. Do you want your ad to be seen in 3000 homes or 5700 homes? Independent Appeal can be seen by 17,000 people each week! NOTICE TO FURNISHERS OF LABOR AND MATERIALS TO: Vanderbilt Landscaping, LLC PROJECT NO. : 98049-4263-04, 98049-4264-04 CONTRACT NO. : CNR713 COUNTY: McNairy The Tennessee Department of Transportation is about to make ﬁnal settlement with the contractor for construction of the above numbered project. All persons wishing to ﬁle claims pursuant to Section 54-5-122, T.C.A. must ﬁle same with the Director of Construction, Tennessee Department of Transportation, Suite 700 James K. Polk Bldg., Nashville, Tennessee 372430326, on or before 5/24/2019. LOOKING FOR DRIVERS THAT CAN GET THE JOB DONE! We are looking for Clean MVR and Good Work Ethic. 2013 Polaris Sportsman 2013 Polaris Sportsman, white, stolen off Westwood Circle, Selmer. Stolen some time last week. Cash Reward Offered, if found. Call (731) 645-0447, call or text. ered as served upon you. You may request your copy from the Clerk of the Court. Office of McNairy County, Tennessee. 2) CACH, LLC, pursuant to Judgment Lien recorded in Trust Deed Book 401, Page 1864, in the Register’s Office of McNairy County, Tennessee. All right of equity of redemption, statutory and otherwise, and homestead are expressly waived in said Deed of Trust, and the title is believed to be good, but the undersigned will sell and convey only as Substitute Trustee. The right is reserved to adjourn the day of the sale to another day, time, and place certain without further publication, upon announcement at the time and place for the sale set forth above. If the highest bidder cannot pay the bid within twentyfour (24) hours of the sale, the next highest bidder, at their highest bid, will be deemed the successful bidder. This property is being sold with the express reservation that the sale is subject to confirmation by the lender or trustee. This sale may be rescinded at any time. This office is a debt collector. This is an attempt to collect a debt and any information obtained will be used for that purpose. BANKRUPTCY? Our office has helped thousands of people in financial hardship. Let us explain your bankruptcy rights and options. 1-800-748-9889 We are a debt relief agency. We help people file for bankruptcy relief under the bankruptcy code. to the issuance and sale of the bonds. NOTICE OF INVITATION TO BID The McNairy County Board of Education, School Nutrition Department, is requesting bids for Milk & Milk Products, Grease Trap Maintenance and Beverages for A la Carte Sales for the 2019-2020 school year. A copy of the bid documents will be available at the School Nutrition Office, 530 Mulberry Avenue, Suite 2, Selmer, Tennessee 38375. The bid must be mailed or delivered to the McNairy County Board of Education, School Nutrition Office, 530 Mulberry Avenue, Suite 2, Selmer, Tennessee 38375 by Tuesday, May 7, 2019 at 10:00 A.M. Bids will be opened and read aloud at 10:00 A.M. on Tuesday, May 7, 2019. Faxed or e-mailed bids are not acceptable. If you should have questions, please contact Gayle Brooks, School Nutrition Program Supervisor, at (731) 645-7731. The McNairy County Board of Education reserves the right to accept or reject any or all bids. This Institution Is An Equal Opportunity Provider. BUSINESS DIRECTORY Advertise here for as low as $8 a week. Plumbing, Electrical & Aerial Service Work 583 Mulberry Ave Selmer, Tenn.
(731) 610-4462 (731) 439-2923 Give us a call! NO JOB TOO BIG OR SMALL, WE CAN DO IT ALL. We specialize in the repair of all vehicles and small engines. Auto Repair | ATV’s | Lawnmowers Generators | Compressors & MORE! Free Diagnostics & Estimates! Auto Glass Service, Inc. ESTABLISHED 1999 Specializing in Repairs & Replacements • Insurance Approved • Mobile Service Available! CoreCivic offers a comprehensive benefits package that includes Health, Dental, Vision, Life, Paid Time Off, Paid Holidays, 401(k) with company match and competitive pay. CoreCivic is a Drug Free Workplace & EOE - M/F/Vets/Disability.